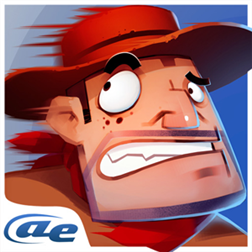 Check out this new free game by none other than AE Mobile on the Windows Phone Store! Endless fun: you will not stop playing it. Role upgrade system: accumulate more energy straightly and beat a higher score! Collect coins and mushrooms, get a higher score, and for the ultimate solution to save the cursed village! The Village Mayor says, the way to break the curse is hidden in a mysterious box, the box is kept in a cave among steep mountains , in far northwest. If you like Temple Run, Subway surfer, Minion Rush, Pitfall!, Mega Jump, Nin Jump, Strike Back, PopStar!, Bubble bust, Bejeweled, Birzzle, Fruit Ninja, Angry Birds, Cut the Rope, Tiny Wings, Gravity Guy, Fragger, Clash of Clans, Hay Day, Candy Crush, My Talking Tom, Star Wars, Pinball Star, you shouldn’t miss this crazy challenging and addictive game! Kalpana-Incas lost city here! Bring you an epic running experience! Written by: Hyde13 on December 6, 2013.